The National Marine Fisheries Service has issued an Incidental Harassment Authorization to the Scripps Institution of Oceanography, a part of the University of California at San Diego, to take marine mammals, by Level B harassment, incidental to conducting a low-energy marine geophysical (seismic) survey in the tropical western Pacific Ocean, September to October, 2013. Editor’s Note: See the CRE State of the Science Report on Seismic Exploration which clearly demonstrates that the statements made in the following article regarding the adverse affects of seismic exploration are not science based. Critics oppose plan to use sound waves that could kill thousands of sea mammals. NGOs have sued the Federal Government in the United States District Court for the District of Columbia. They claim that BOEM violated NEPA, the ESA, and the APA when BOEM decided to move forward with oil and gas Lease Sale 216/222 in the Gulf of Mexico based on a 2012 Final Supplemental Environmental Impact Statement, and without first concluding ongoing reinitiated consultation under the ESA. The Plaintiffs also challenge Lease Sale 218, based solely upon their ESA argument. Finally, the Plaintiffs contend that NMFS has unreasonably delayed completion of the ongoing reinitiated consultation under the ESA, in violation of the APA. The U.S. Fish and Wildlife Service and the National Marine Fisheries Service propose to amend the regulations governing consultation under section 7 of the Endangered Species Act regarding incidental take statements. The purpose of the proposed changes is to address the use of surrogates to express the amount or extent of anticipated incidental take, and incidental take statements for programmatic actions where implementation of the program requires later authorization, funding, or implementation of site-specific actions that will be subject to section 7 consultation and incidental take statements, as appropriate. These changes are proposed to improve the flexibility and clarify the development of incidental take statements. The Services believe these proposed regulatory changes are a reasonable exercise of their discretion in interpreting particularly challenging aspects of section 7 of the ESA related to incidental take statements. The Services will accept comments received or postmarked on or before November 4, 2013. A group of scientists from NOAA, Cornell University, and other organizations are working on a mapping project called CETSOUND, which is short for cetaceans and sound. The project has two components. The first is a series of maps showing where and when marine mammals occur in U.S. waters—their migration routes, nursing grounds, and so on. The second is a series of maps showing the estimated noise levels that those areas are exposed to throughout the year.By overlaying these maps, scientists and decision-makers hope to identify the hotspots for noise that affects marine mammals, so they can better manage the problem. 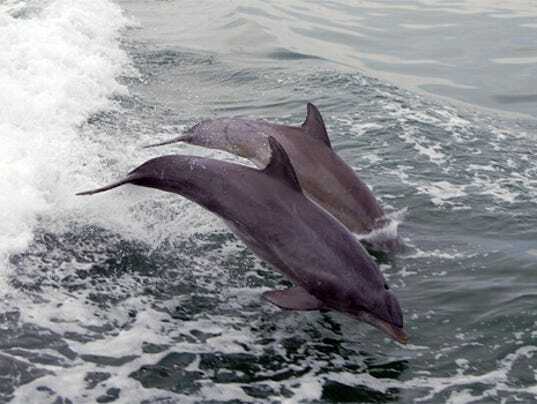 The Department of Commerce, National Oceanic and Atmospheric Administration, seeks public comment on the Proposed Information Collection: Reporting Requirements for the Incidental Take of Marine Mammals by Specified Activities (other than Commercial Fishing Operations) under the Marine Mammal Protection Act. Written comments must be received by Commerce/NOAA on or before November 5, 2013. Comments will be summarized and/or included in the request for OMB approval of this ICR. They also will also become a matter of public record.